After a recent award and a couple of high profile listings, I just had to post here briefly to say a big: Thank You! 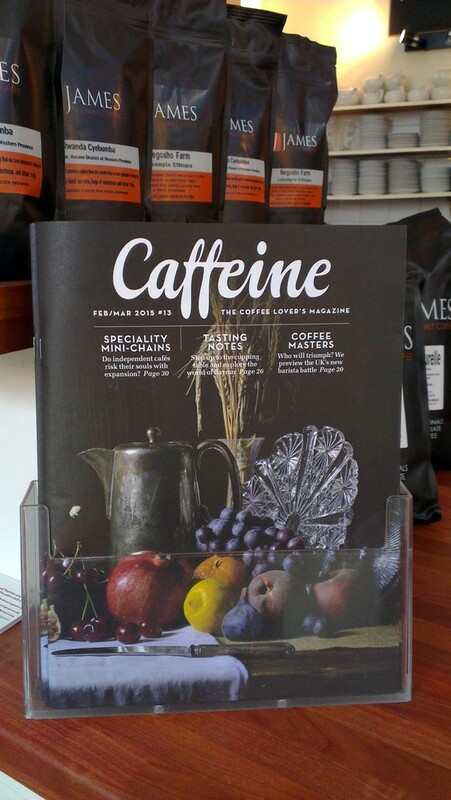 Thank you to the good folks responsible for selecting and deciding to include us in the listings (including the wonderful Caffeine Magazine for one of the above). Thank you to our wonderful customers (the most lovely customers there are!) for voting for us to Win the Cardiff Lifestyle Awards Best Coffee Shop category in November 2016, when we were up amongst so many of the very best local independent artisan cafes. Thank you all for your regular custom, continued support, and kind words of appreciation. And thank you to our fantastic team of lovely people at The Plan Cafe, who should all be very proud of their involvement with making these achievements happen. Thank you for taking on board the extensive training, for putting up with me being so particular about everything coffee, even though coffee is not your passion, and for working so hard to help maintain the service and coffee standards I put in place. Thanks to Mike and Veronica for taking the cafe on at the beginning of 2016, understanding what makes us special, and helping us to continue doing what we do, better than ever. To be honest, it always comes as a shock to be included in such listings; it is an honour to be mentioned alongside some of the most prominent names in London and the UK (legendary coffeeshops who are at the forefront of the UK speciality coffee scene), when what we do feels so humble and low key. I know it is the ambition of all serious coffee shops to be included in any such UK wide list by a well regarded newspaper even once, but that most, even really good places, never achieve it. So to have been listed in several over the years is just such a wonderful privilege. Always so unexpected, and it makes me happy, proud, and humbled. I’ve been doing what I do at The Plan for a decade now, since I arrived at the cafe in 2007. From that point we became one of the very first places in Wales offering the Third Wave style, at a time when it was still very rare (especially in Wales). And the endeavour has been to continuously improve, learn more, and constantly refine the details further and further within the existing framework of what we do. There was my 2010 UK Barista Championship Final achievement, and following that we were listed in The Independent’s Top 50 UK Coffee Shops (along with numerous other listings, articles and features over the years). Since then, the Cardiff speciality coffee scene has of course gradually developed, and there are now quite a lot of places in the community locally doing good things with coffee. I recognise this as a mutually positive, and completely expected natural development, as part of a speciality (Third Wave) coffee movement that is thriving and constantly expanding worldwide, as well as throughout the UK. With this in mind, it would be easy to assume or suggest that we might now be overlooked or disregarded within this more densely populated contemporary speciality coffee landscape. Especially when we at The Plan could be viewed as being less focused on things like being on-trend, and having the right look, etc, than some places are. When we haven’t had vast pots of money poured into slick, fresh interior design (ever). And when we don’t have all the latest, brand new must-have kit and gadgetry at our disposal (whilst our kit is not the latest, it is still great, and I just try to look after it lovingly, know it intimately, and use it well …and just make do). So, to continue to be singled out for recognition of this stature, from amongst so many others of merit (both locally and across the whole of the UK), makes it all the more spectacular, remarkable and appreciated. My focus is simply on trying to make the best coffee we can, as consistently as possible, in an inclusive and unassuming sort of way. We aren’t preachy; we won’t bore you with all the details about our coffee if you’d prefer not to know (although I’m always happy to talk about it when people are interested!). I’m not into being showy or ‘leading the way’. We don’t tell people they can’t add milk, cream, or sugar if they want it. And if you want your drink extra hot, that’s fine; we’ll actually adjust our technique to try to ensure we still give you the best possible texture and product. It is true we don’t stock flavoured syrups (because we’re all about trying to make coffee that tastes really nice by, and of, itself, without needing to add flavourings), and true that we don’t grind beans to take away (whole bean only, for grinding fresh at home, to try to ensure people have a chance of experiencing the best the beans have to offer). But we’re not elitist; we’re down to earth, unique, quirky, genuine, not always perfect, eclectic – and everyone is welcome. It’s impossible to fully communicate the level of continuous dedication, training, precision, organisation, calibration, experience, integrity, obsession, focus, planning, thought, research, attention to detail, and sheer hard work that goes into the coffee and service operations at The Plan, every single day, as it has done for many years. Perhaps our continued achievements, and the fact we and our reputation have stood the test of time, is a testament to some of these things. You can watch this recent TV interview with me at The Plan on The Crunch Cardiff on catchup. Episode 45 from the 13th April from 38:35 into the show. And, you can now also follow me on Instagram. 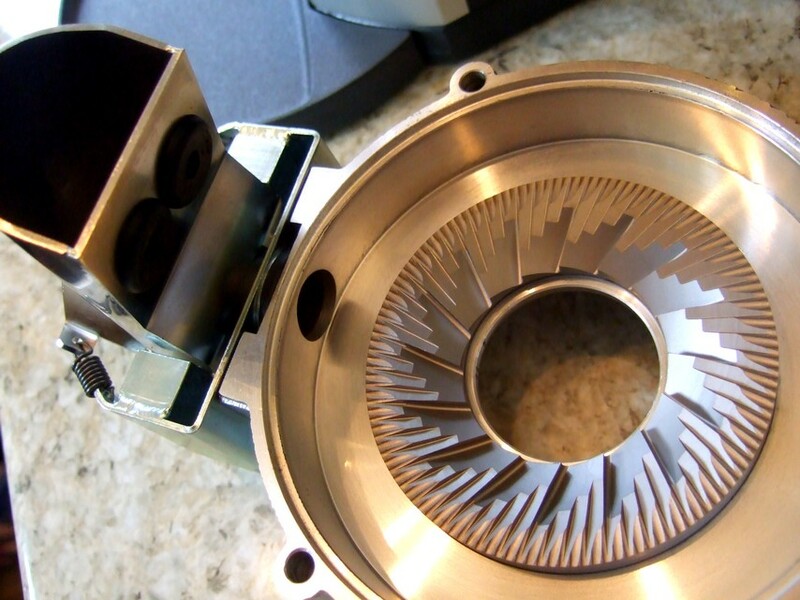 Several months ago, I posted a few brief comments here on the topic of maintaining espresso flow and quality throughout the day in a commercial environment as espresso grinder burr temperatures heat up, and shot flow changes. I linked to related posts that had come out shortly before by Maxwell on Colonna and Smalls blog (particularly this post), which offered a new explanation for precisely why flow changes, which resonated with me, and which correlated well with my own observations. This is something that I’ve always wondered about since first becoming aware of the effect, and something I’ve been looking at more closely than ever (and approaching from a different way) for over a year now, since late 2014. Most of my experimentation and diagnosis on this has simply involved my standard close observation of general practices (shot making, dosing, flow, visual characteristics of crema, tasting, flavour, grinder calibration and settings, etc), along with regular measurement of all the weights wherever necessary as another reference point, and detailed logging of these findings in daily brewing journals. Basically just employing the standard methods I always utilise, to record and digest the effects of new practices. But recently, I decided I’d like to add some laser particle sizing analysis to the mix, to both support and enrich my own findings, and to substantiate from my own environment and equipment the theories and explanations conveyed by Maxwell on the blog, which stemmed from the data they were given by grinder manufacturers. I’ve had the privilege to access laser analysis quite regularly in the past (thanks to the wonderful Mat Smith!). Previously, my focus with this was to use it to look at various coarse, filter grind profiles from several grinders I use, and I have not used it for espresso grounds, until now. For those unfamiliar with the phenomenon in question, what happens in commercial environments, with conventional espresso grinders and burrs (certainly flat burrs), is that as the day progresses, and burrs heat up from use, espresso flow rate increases (generally, overall). Basically, the espresso speeds up. This can require one to make lots of adjustments (of one kind or another) in order to atempt to keep the coffee consistently good. 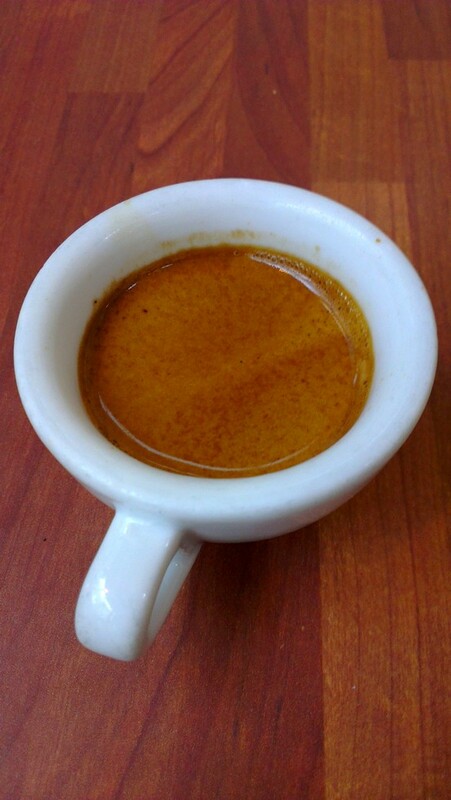 In this environment, the condition of the espresso (and the grounds) is in continuous flux, and one needs to be constantly vigilant, monitoring parameters, and frequently calibrating where necessary, to try to maintain a consistency of quality from a moving target, otherwise shot quality can deteriorate rapidly. But surprisingly (or perhaps not, as genuine, concrete, substance is often rare in coffee), there was, and is, very little detail available anywhere online about why this actually happens. In fact, no one (publicly) seemed to know why for sure. Even the top coffee professionals seemed to only be able to give vague hypotheses. Virtually no conclusive evidence or even detailed speculation, that I’m aware of, about what, specifically, causes shots to speed up in this way. Just some thoughts mentioned here and there that as burrs heat up they actually move further apart and gradually grind fractionally coarser, or that warmer grounds extract and flow more quickly, amongst a few other things. (For those using timed dosing, there can be some related effects in relation to this too). It seems ludicrous that no one knew what causes this, until now (or at least there was nothing publicly documented and available about it). You would imagine that the reason for such a significant effect that is so familiar throughout the coffee world would already be understood, and explained with matter-of-fact confidence. So, I wanted to see whether I could corroborate and confirm this newly suggested reason for the effect, arrived at from the graph data from the grinder manufacturers that was referred to. Maxwell has mentioned on their blog that he hopes to publish data on this soon, and doubtless when this happens he and the (incredibly) specialised team involved will be able to present a far more thorough and insightful examination of this topic than I am capable of. But, at present, the graphs referred to in relation to this theory have not been released. 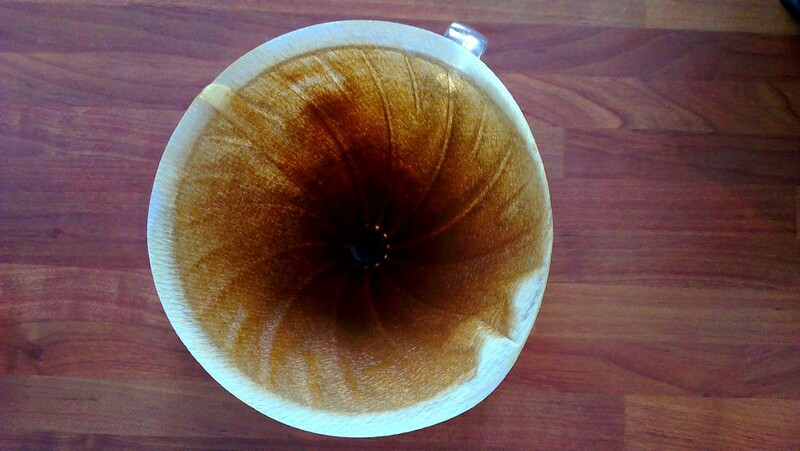 So, by posting the graphs from my own samples and laser sizing analysis here, it’s exciting to be able help with progressing knowledge forward a little regarding this topic that cafe baristas worldwide encounter and deal with every day. Nice to release some data, publicly, to help substantiate the theory, and further support its accuracy, and to provide another reference point for anyone researching the topic. The samples below have all been run on the same volume based analysis model. As Maxwell points out, if you run the same sample using different models, you can see strikingly different representations of any particular sample (and I might run the same samples, or new ones, via different models sometime). And as I’ve mentioned here in the past, the whole topic of the way particles are measured by this sort of equipment is incredibly complicated/scientific. The data can be interpreted or represented in many different ways, is often not as straightforward or conclusive as you might imagine, and the results often lead to as many questions as answers. However, regardless of all this, you will see that the model selected here amply demonstrates in the graphs the effect on super fine particles, and on the overall shape of the distribution curve, of different burr/grinding temperatures. And it does so far more dramatically and conclusively than I had expected. All on a modified Anfim Super Caimano 2nd revision with steel burrs, dual time presets. All samples taken at the same grind setting. All using the same coffee, a washed, espresso profile blend from James’ Gourmet Coffee (composed of SukeQuto/Antonio/Paraiso/Potrero), across two batches with the exact same components (which performed identically, and which were rested for very similar periods), taken between 25/11/15 and 12/12/15. 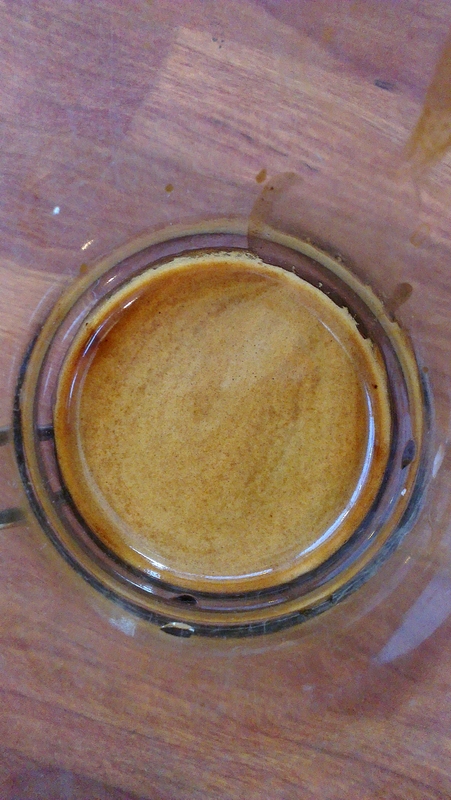 Cold burrs (after loading the clean grinder with beans, and grinding a few doses to suitably prime the throat and other areas without excessive grinding). Towards end of same day. I had another sample tested (Sample 3), the graph for which I don’t have here, taken at the end of the day, testing the effects of selecting a finer grind setting, which demonstrated the same pattern in fines reduction with warmer burrs. The graphs show, amongst other things, this key feature in question, of a vast difference in the amount of fines between cold and hot samples, with the fines reducing, and the grind particle distribution becoming increasingly uniform, as the burrs heat up, which seems to largely and convincingly explain the primary reason for alteration in flow. A curious feature, which I hope to look at further, is the variation in the peak size/s across the 3 samples shown, despite all being at the same grind setting. With warm sample 2 peaking at a smaller/finer micron size than cold sample 1, and warm/hot sample 4 peaking coarser. Which is inconsistent, and which warrants deeper investigation (or maybe simply a better understanding of the graphs than I have!). What’s interesting is how we choose to manage the phenomenon, generally, and, now that we think we do know what causes this change in flow, whether people might choose to manage it differently in the light of this new information. Similarly, there is not a great deal of specific detailed substance published about the precise methods and practices used by people to counteract and manage this effect. And, of course, the idea of rigidly following set recipes and the brew ratios which we discover when initially dialling in (or as provided by a roaster’s recipe) is often cited as standard practice. If the grind had been getting coarser in a simple way, as some people thought, and we were just recalibrating it, and the distribution curve, back to where it had been when cooler, going finer would make perfect sense. But we know now that this is not the case. Although, in a certain sense, to be fair to those who thought the grind got coarser, it kind of does of course. One grind profile with less fines at an approximately similar mode size than another with more fines is sort of coarser, with a higher proportion of, or balance towards, the larger particles, relatively. But it is not coarser in the traditional sense, the burrs have not (we think) moved further apart (or even if there is movement that certainly does not seem to be the primary cause of the effect on flow at least), and the mode size has not become (significantly enough, or at all) larger, and this therefore presents us with a very different scenario. Anyway, my results concur with the theories presented by CS originally, and the analysis they had access to. But, when I say we now finally know what causes this effect, that’s not entirely true. Yes, we now know quite definitively that flow increases in this way because of decreasing levels of fines in the 0-100 micron range. But, we don’t yet know what actually causes this decrease to happen. Whether this is due to the hotter burrs actually grinding differently (with less fines) for some reason (changes to the metal caused by heat), or because the warmer beans as heated by the hot burrs (above and beyond the effect of any increase in ambient temperatures), whilst directly above and feeding into the burrs, break and fracture differently (with less fines), or to what extent ambient temperatures and humidity have a contributory effect in this, is, I think, still undecided. I think it would take someone a lot of time and well structured, in depth testing to ascertain this. But nonetheless, the important (revelatory?) takeaway from this for the time being is this alteration in the distribution curve and specifically the levels of fines as shown in these graphs posted here; this evidence that there are less super-fines when the grinder burrs (or beans) are running hotter compared to when cold. A lot less. This alone gives us a lot to think about. The last 2015 delivery fresh from the JGC roastery is in right now at the plan cafe – and 250g bags of whole bean coffee are available to take away for gifts, or your own Christmas coffee for home! 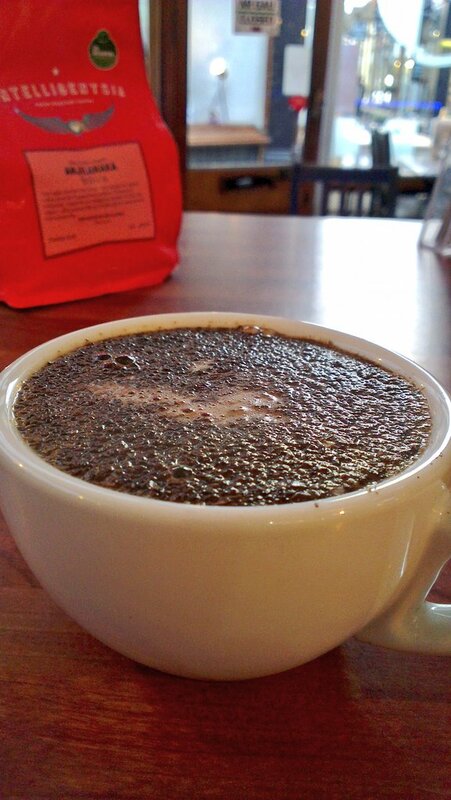 Konga Sedie Natural Yirgacheffe (a great natural; ripe strawberry, fig, melon, very fruity, soft, sweet acidity). 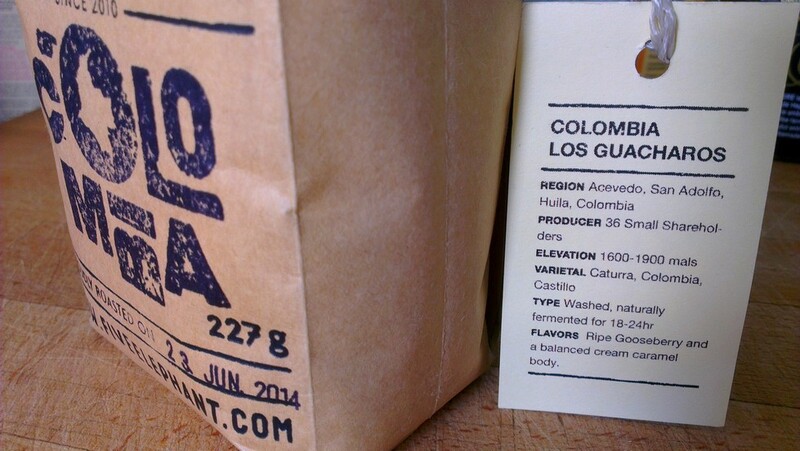 And, a very small amount of Anza Guintar Colombia (chocolate, black treacle, white fruit and apricot). 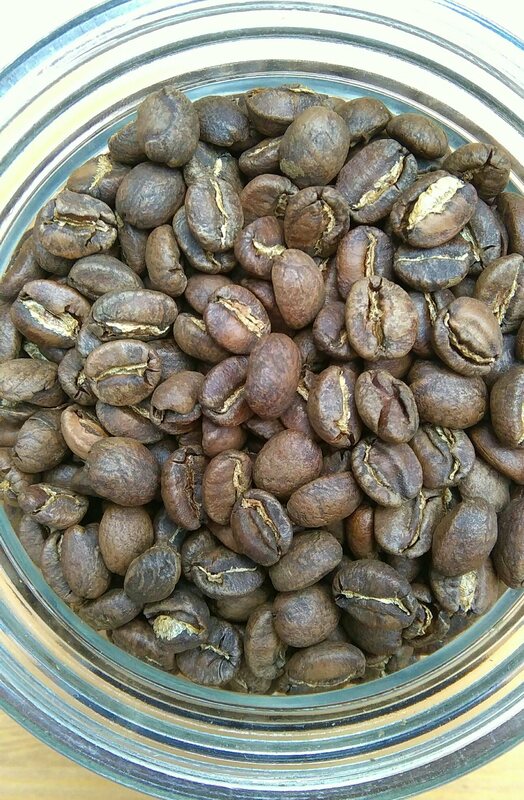 These are light roasts, suitable for any type of filter or immersion brewing. For espresso, we have (larger bags only) of the awesome Naturelle, currently composed of Suke Quto Guji Ethiopia, San Antonio Guatemala, Finca el Paraiso Nicaragua, Merced del Potrero Mexico. These are all whole bean only to take away – simply so that you can have the chance to get the best from these coffees by grinding fresh at home. Grinding yourself is essential, not just so that you can grind fresh, but so that, crucially, you can adjust your grind and fine tune it to suit your specific brew method, bean, technique, batch size, etc. You cannot do this if you buy preground coffee, and so are unlikely to be able to get the best results. Even if you get a cafe using a top quality commercial grinder to grind great beans for you fresh to take away, at that point they will begin to stale very rapidly, and, perhaps even more importantly, you cannot then alter the grind to suit your needs. So, a good excuse to treat yourself to a grinder! 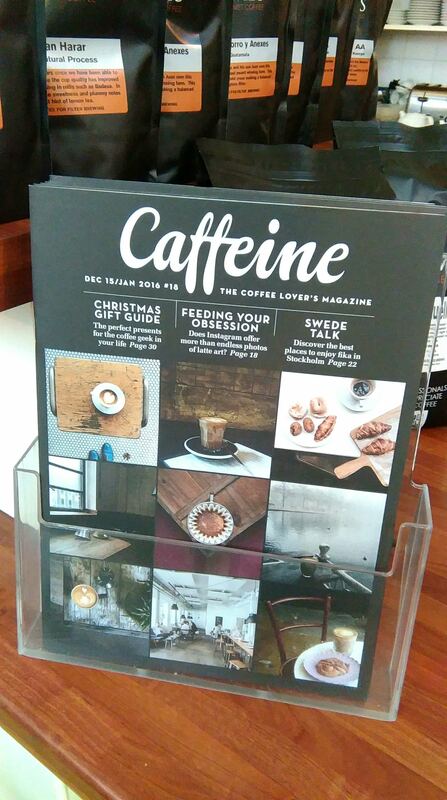 The newest freshest issue of the wonderful Caffeine Magazine is out now for Christmas at the plan cafe and… drum roll… fanfare… this issue includes a long awaited Cardiff Feature!! The details for our inclusion were gathered during a long chat recently with the ever lovely Brian whilst he was spending a (yet another!) very caffeinated day, in town interviewing for Caffeine at the various coffee shops featured. Great to see Cardiff getting a mention, at a point where there are now finally enough cafes here doing good things with coffee to make a feature. 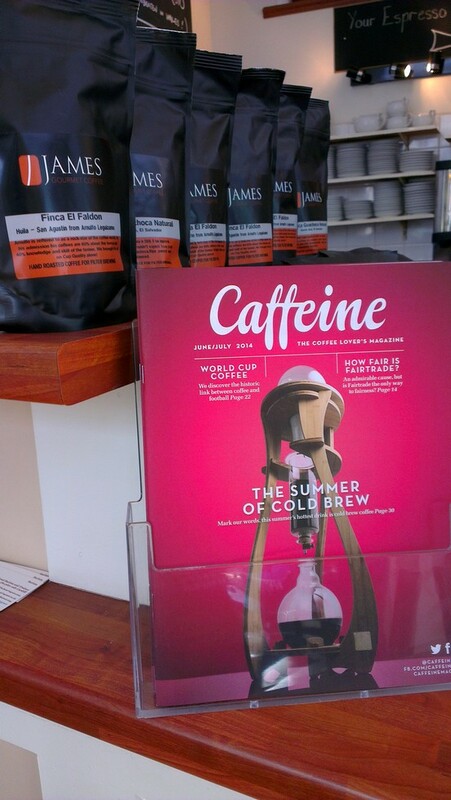 We’ve distributed a few copies from our stock to all the cafes featured, so you might catch a read at any of Cardiff’s top coffee spots right now! So, we’ll be prouder than ever to be serving Caffeine at the moment, free with your order to all our customers (the loveliest customers)! It’s a lovely article, that rightly points out that we were one of the very first places in Cardiff to offer this style of artisan/3rd wave coffee, at a time when it was still rare. What this gives us of course is a wealth of experience; many years of obsessive learning, research and experimentation from myself, and the desire to constantly improve my understanding and ability with all things coffee, which continues to this day. It also mentions my achievements as a UKBC finalist, as a crucial point in my progression as a barista. This is true, as it was, and still is, a massive achievement. 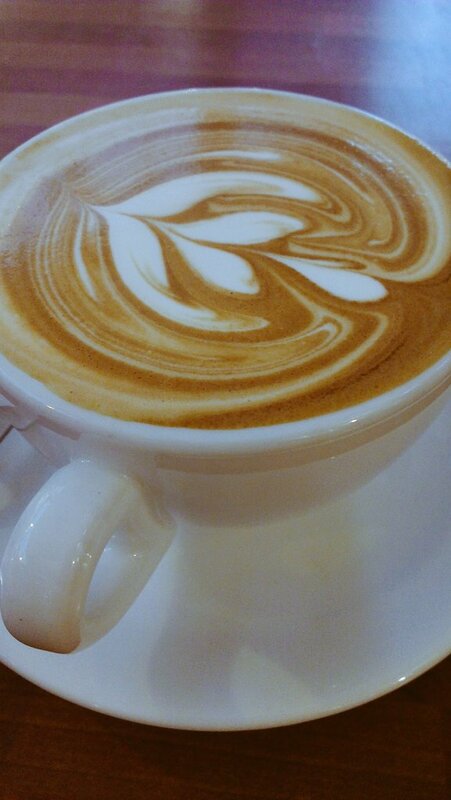 But it’s worth mentioning it was also just one small part of my overall journey as a barista. Most of my learning has occurred outside of this, through continuous practice and research in the cafe, and at home, etc. And naturally, if you’re serious and passionate about great coffee, that learning never stops, and it’s hard to describe how much more I’ve learnt since that achievement. It’s also wonderful, and a testament to what we do, to be able to feature so prominently in this, as somewhere that has not had tonnes of money thrown at it. 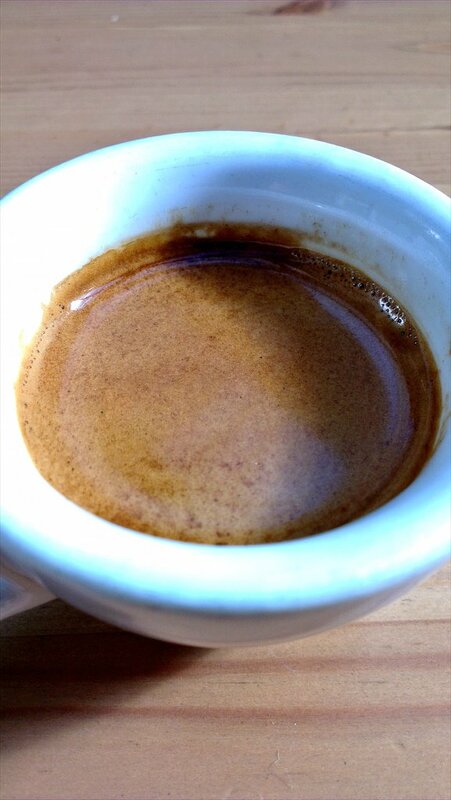 Currently, our espresso is a washed blend featuring four farms: Suke Quto Guji Ethiopia, Finca el Paraiso Nicaragua, Finca San Antonio Guatemala, and Merced del Potrero Mexico. We have Oda Bultu Harar, Thiriku AA Kenya, and Socorro Anexos Guatemala on as French Press, or available as whole bean for home, and new arrivals coming very soon! I hope to post more soon (so busy! ), but in the meantime, my Twitter is regularly updated! That’s right! 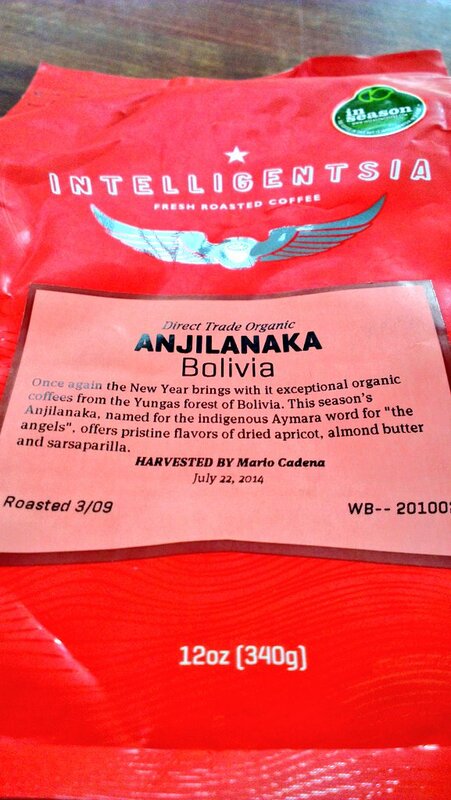 Some Intelligentsia coffee – so exciting! A wonderful and unexpected gift from a lovely new visiting customer. 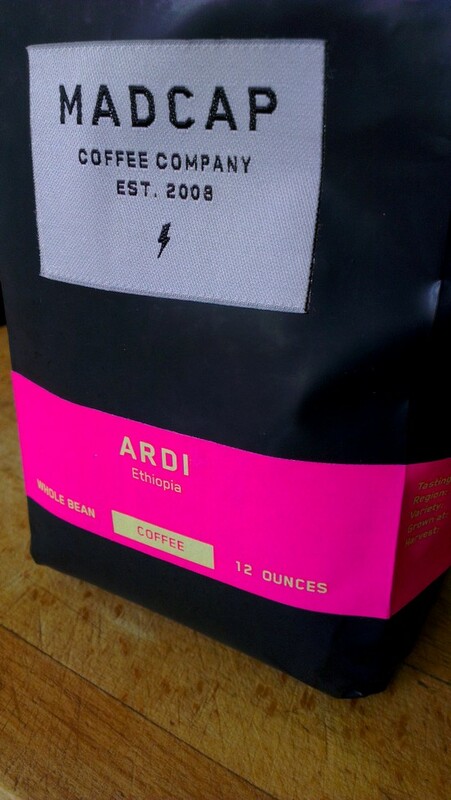 Fresh too; they had picked this up at the cafe roastery on their way here from the States! So kind. A rare treat (and delicious filter coffee, of course)! Recent filter profile arrivals coming through the cafe via JGC are/have been: Baudilio Cordoba micro-lot Finca Merlin Timana Colombia, Finca El Carmen ‘La Montana’ micro-lot Guatemala, Bolivia Asencio farm, and we still have the lovely Ethiopian Lekempte Operation Cherry Red Negosho farm. These are all beautiful, light roasts, that are juicy, fruity, clean, and sweet. I think beans like this are a thing of beauty! I’ve also tried a little (lots!) 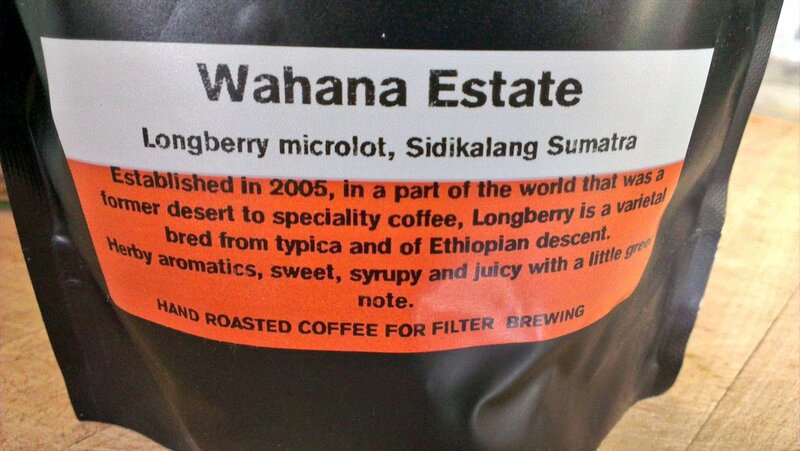 of this longberry from Wahana estate, which has been really lovely at home via Chemex, Clever, French Press, and wedge filter cone. Considering where in the world it’s from, this might be surprisingly good, but considering it’s more specifically from the Wahana estate, it’s not surprising at all, as we’ve seen great, perception changing coffees coming from here before. A really interesting coffee with clean, green, herby elements, licorice stick, and an asparagus note described by our roaster that is subtle yet distinct. Despite some of these flavours sounding more savoury, this is also so sweet. We try to manage flow to maintain shots within parameters that keep the coffee tasting as close to when it was first dialled as possible, as things change throughout each day. The ideal is to choose routes that provide you with the most consistency, and the least negative impact on shot flavour. The received wisdom is that we should change grind settings finer and finer to maintain shot flow and parameters, and to maintain a set recipe, in a daily cafe environment as grinders heat up and the conditions change. 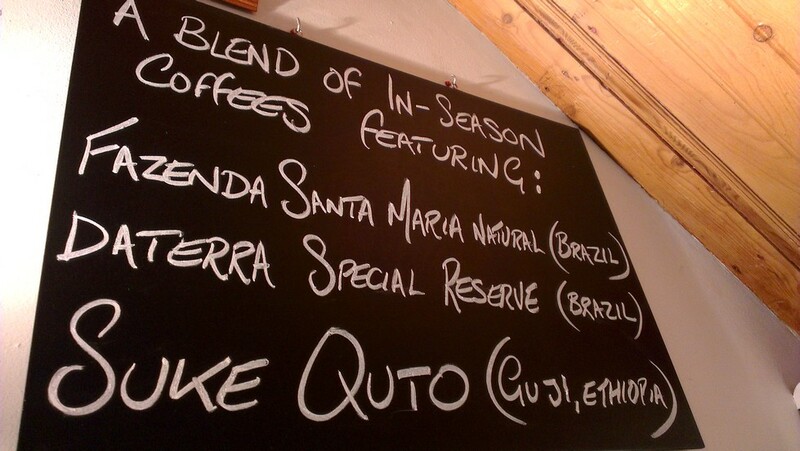 This Colonna and Smalls article cropped up recently (plus the previous post). The shifting fines production at different grind temperatures and it’s effect on flow rate (offering an explanation that is fundamentally different to the theories that are usually offered to explain the reasons why flow alters as burr temperature changes), immediately resonated with me and made a lot of sense in relation to things I’ve been observing and experimenting with over the last year. If these reports are correct, with this information in mind, the consequential effects (on grind profile, distribution, and flavour) of changing the mode particle size as people usually do becomes more clear, and is brought into question. I think the consensus, or one popular theory, has been that the grind gets coarser as burrs heat up, meaning adjustment of the grind setting is in a way simply a recalibration to keep the grind essentially the same, (atmospheric conditions aside). But if this isn’t actually the case, it’s conceivable we have a situation where the grind was good, and then we actually are making it finer and finer… Although there are other possibilities again. One way or another we can be fairly sure the grind profile, or elements of it, is constantly being reshaped as temperatures change, so it seems sensible to entertain the possibility that when we adjust in the conventional way, and fix everything else in pursuit of a recipe, we will still end up with shots that are not actually completely the same. It might conceivably be worth experimenting with looking at things from different perspectives (however unfashionable), where different parameters are fixed, and others are opened up and allowed movement. Different sorts of recipes; ones that move in predictable patterns, to rhythms, but which are not always fixed at the usual points, that shift, and are allowed to. Something outside the box. 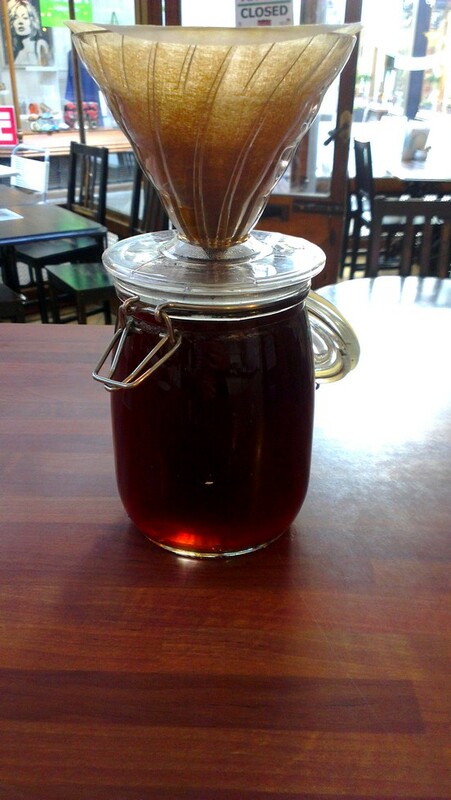 We make single shots too, with an actual single basket, and naked PF. This is one (although mine’s always a double!). The last few weeks have seen some big changes to our current espresso blend at the plan, Naturelle, as the components shift from being fully washed process, to include pulp and full natural process Brazilian coffees, from Santa Maria, and Daterra, along with the fabulous Suke Quto Guji washed Ethiopian. This brings richer, more tactile chocolate and nut qualities (I could mention a certain famous chocolate caramel and peanut bar here! ), and riper fruit tones. Still with lots of sweetness, floral complexity, and balanced brightness, just less shimmeringly crisp-focussed than previously. 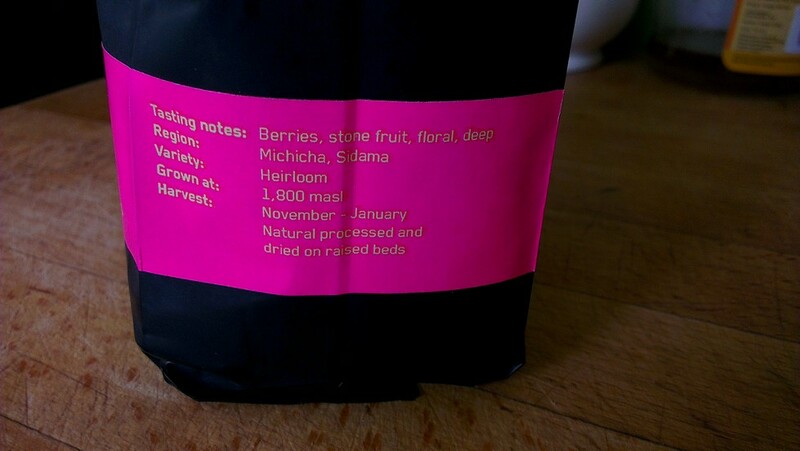 Still a similar overall flavour profile, but very different on the densities, roast, dialling, and flavours too! And just a few pictures for now, until time allows for more! 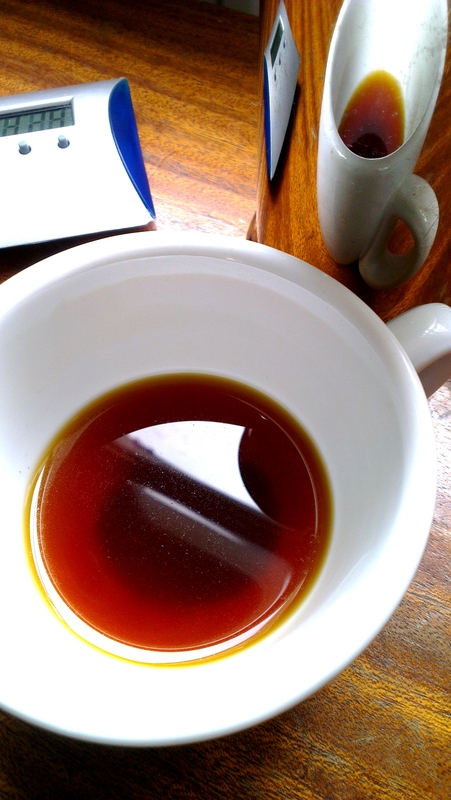 Clever (Bolivia Asencio) at home (more baby friendly sometimes than three minutes of pourover pouring!). Just a simple post during this busiest of times, as we approach the festive period, and the roasteries roast and deliver their last batches of 2014 to us at the plan cafe, to let you know about the wonderful coffees we have on offer this Christmas. Of course, these are also available as beans to take away, so you can have delicious, freshly roasted, speciality coffee and brews at home over Christmas and New Year …or for gifts! I know I couldn’t dream of being without it at home! 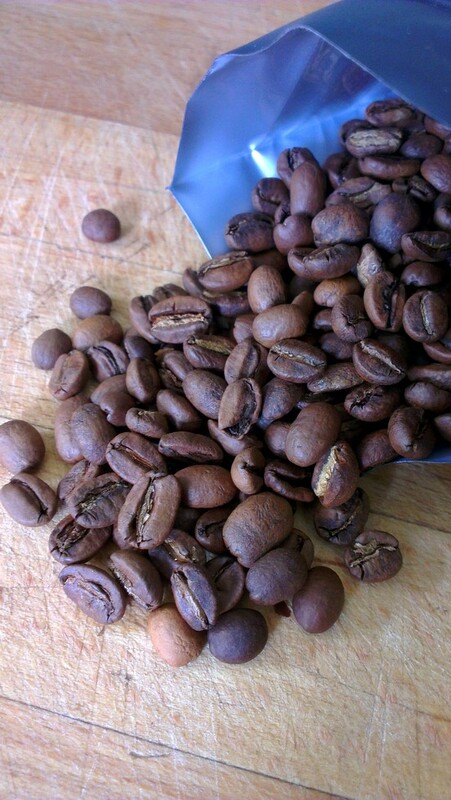 If you don’t already know, we do only sell our beans whole, not ground, in order to preserve the qualities of the freshly roasted coffee, as it stales quickly once ground. So if you don’t already have one, and you want to make great coffee at home, put a decent burr grinder on your Christmas list, so you can grind fresh, just before you brew! This way you’ll have more chance of experiencing the best that these great coffees have to offer. The freshest roasts are arriving throughout this week – feel free to keep an eye on my Twitter which is regularly updated, if you want to know the latest. Negosho Farm, Lekempte, Ethiopia. Operation Cherry Red. Washed process. James’ Gourmet Coffee. Ethiopian coffees from the Dutch OCR project always make me very excited, as over the years, these have regularly been really exceptional. This one has a quite distinctive passion fruit note, along with peach and citrus, creamy body, and bright, juicy acidity. I’ve brewed this at home in Chemex, Flat bottomed (wedge shaped) ceramic filter cone, Sowden Softbrew, and cafetiere, and I have enjoyed them all, although I have to agree with our roaster’s observation, as the cafetiere was possibly the most complex, complete, balanced and sincere expression of this coffee. Finca Las Flores, Antigua, Guatemala. Washed process. James’ Gourmet Coffee. Delicate and refined, sweetness, clean, fresh and juicy fruit, tea-like, floral, balanced, rounded acidity. If you don’t already know, James’ Gourmet Coffee roast as light as can be for filter profiles, wherever they feel it’s suitable, allowing delicate origin flavours to shine, without any hint of ‘roast’ flavour, and this is a great example of this light roast style. Fazenda Samambaia. Brazil. Yellow Bourbon. Pulp Natural process. James’ Gourmet Coffee. This is approachable, moreish, chocolaty and really nutty. Low acidity, and a slightly deeper roast, to accentuate body and chocolate, but still nice and clean and relatively subtle, and not ‘dark’ by any means. Samambaia is a farm I look forward to seeing the new crop from every year, as it’s always well produced, and so tasty! For me, simple, chocolaty coffees are never as interesting, magical or exciting as lighter, brighter, fruitier coffees, but for most people, who aren’t particularly into speciality coffee, the mere mention of chocolate has an instant allure, and any mention of fruit or acidity is a scary, alien concept, which is easy to understand (if you’re prepared to consider things from this more normal perspective). This coffee is comforting, easy to love, and not challenging, and it’s easy to be seduced, as it is tasty. Chocolaty, but still with fruity, juicy, clean, peach and plum notes. 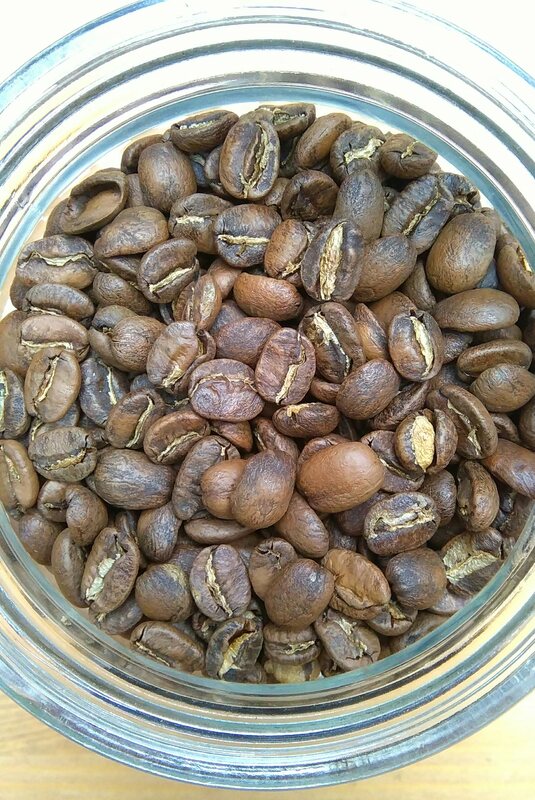 This is a ‘light’ roast from Union, and it is relatively light in the grand scheme of things, although Union do generally go a little bit deeper even for light roasts, when compared to some other artisan roasters who roast very light. This accentuates denser chocolaty tones and body, and intensifies aromas and flavours, and this roast style will appeal to those who enjoy more full bodied coffee. 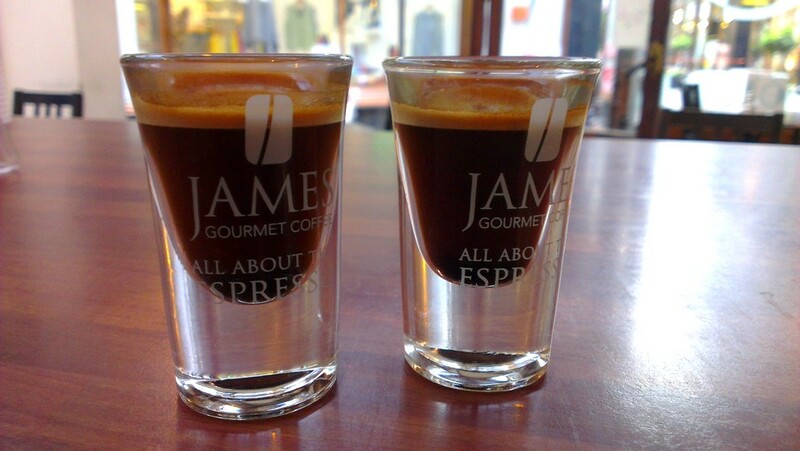 For espresso, we have the Naturelle seasonal espresso blend from James’ (kilo bags). 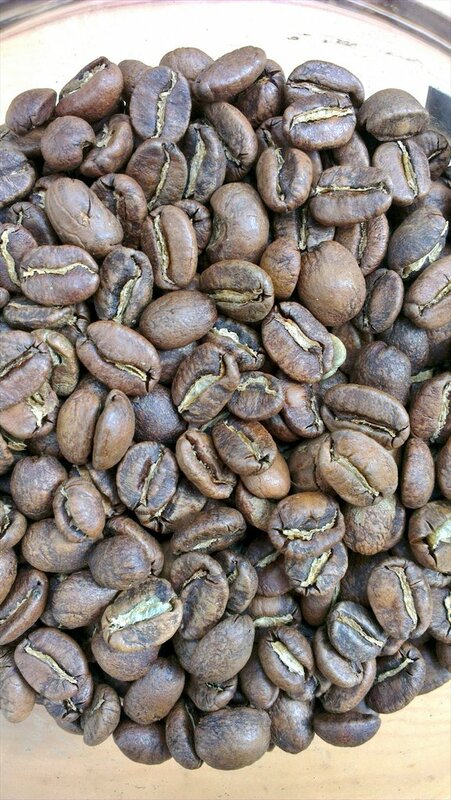 This is currently composed of washed process coffees from Finca Bourbon, Guatemala, and Suke Quto, Guji, Ethiopia. 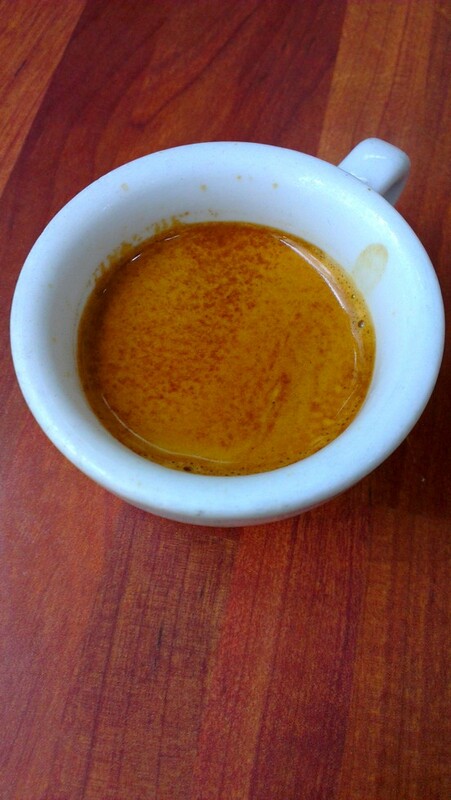 There is so much I could say about this blend, which is very special to me, and which can regularly be seen as my espresso of the day at the plan cafe, even moreso this year than ever. Working with several incarnations of just this one same blend almost exclusively this year might be seen as ‘less’ by some, but for me it’s most definitely transpired to be ‘more’, as part of an intentional voyage of discovery. But for now, I’ll simply provide a brief description! Naturelle (always) showcases a great Ethiopian coffee which (together with a relatively light espresso profile roast) brings juicy, fruity brightness and floral complexity to the blend. This is supported by a foundation currently provided by the Finca Bourbon, that adds richer, chocolaty base notes, that give enough depth for this to work in a whole range of ways. We currently also still have a small amount of James’ washed Rwaikamba Kenya Peaberry too; beautiful little round peaberries, with distinctive, particularly intoxicating blackcurrant characteristics (even for a great Kenyan), and creamy body, but these are almost all gone! That’s it! Have a great time! Coffee is what I spend a huge majority of my time doing, and if I’m not actually doing something with coffee directly, it’s never too far from my thoughts, for long. Continuously. What I publish here on the blog is only a tiny fraction of what I write about coffee (mostly daily brewing notes, across all methods). To say it consumes me, more than I it (but in a way that’s still healthy …just! ), might not be too far from the truth. So, as it’s been a while, there’s lots I could mention. But, just a few of the highlights that have occupied or entertained by coffee brain enough recently to come into focus here, are unpacked as follows. 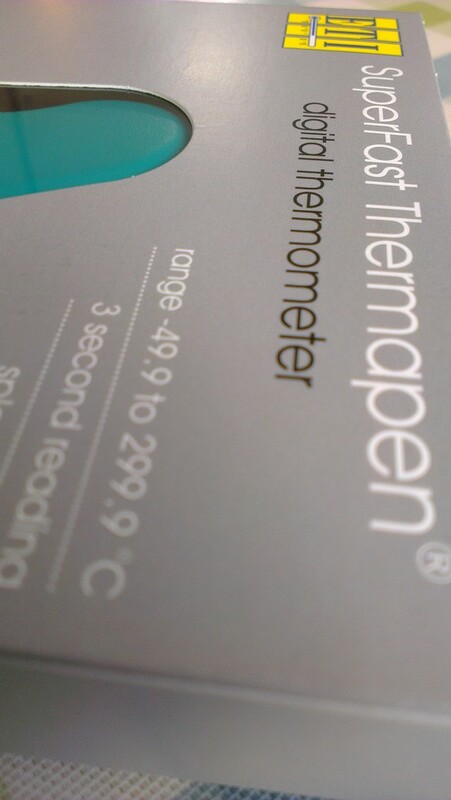 Not long ago, I received a lovely gift of samples from UK-based coffee subscription company Press Coffeehouse. They sent a couple of samples from their list of world roasters: USA’s Madcap’s Ardi Ethiopia natural, and Germany’s Five Elephant’s Los Guacharos washed Colombia. I’d heard good things about Madcap already, whilst Five Elephant was new to me, but both coffees came with a wealth of information, and it was clear this could be tasty. Initial inspection of the beans/roast in both cases was full of promise, and I was not disappointed. Both coffees were great! The Madcap was especially brilliant (but then I’m a sucker for great Ethiopian coffees! ), ripe, sweet, and intoxicatingly floral. 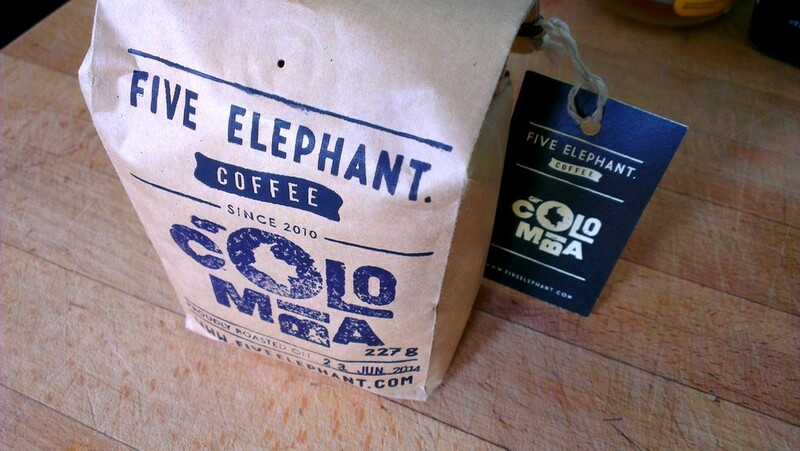 Five Elephant was lovely too though, a transparently light roast, and very clean and juicy. There’s much that can be said against ordering coffee from overseas roasters, although there are of course many awesome ones, for various practical reasons (freshness, unsuitable transportation environments, costs, to name some key ones), when we have such brilliant roasters here in the UK. That said, it’s very tempting to do so, and it’s fun that a company like this takes the headache out of getting hold of them, for those that want to try. 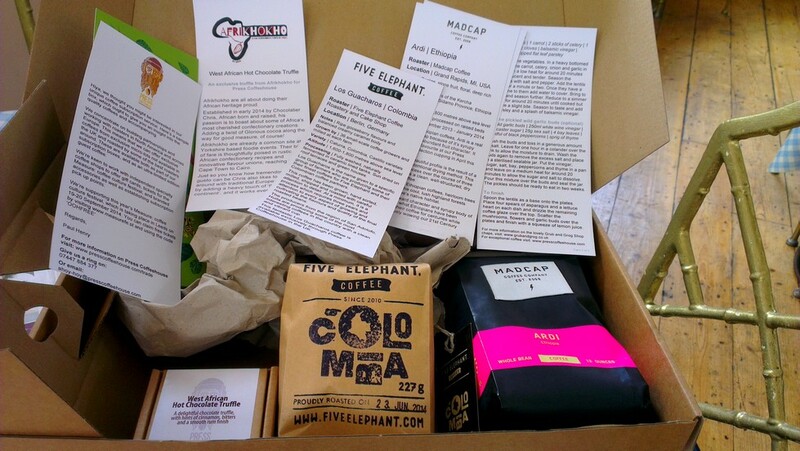 As far as freshness goes, the Madcap arrived at my doors 16 days post roast, and the Five Elephant at 11 days. There are those who might consign coffees to the bin at two weeks (or sooner! )… But I’m not one of them (coffee freshness is very important to me, and is something I take seriously, but for me, the quality of the bean, the roast, and the brewing/preparation, are all more critical than the freshness, within reasonable limits). I found both coffees had travelled well, and brewed wonderfully at home, as various types of pourover filter. A while back, results came in for my latest round of laser particle sizing tests, after submitting grind samples from several top ranking coarse filter grinders (see previous post). My modded Tanzania was predictably awesome again, at all settings tested (medium filter to coarse French Press), and was the benchmark from which to compare the other grinders, giving (narrowly) the very best result. I had suspected the Hausgrind hand grinder might well equal or possibly even surpass the Tanzania (from having read about it, and seen and tasted grounds from it). It might seem hard to believe that a humble hand grinder could rival a legendary electric commercial filter grinder, but some of the new generation of specially crafted hand grinders are purpose-built to be excellent for coarse grinding, and I see no reason why some cannot do so, potentially. And, at coarse FP settings, at almost identical peak micron sizes, the Hausgrind was indeed very impressive. Without going into specifics, one could place these graphs from the Tanzania and the Hausgrind over each other… and essentially see only one, single, identical line (!). I believe the Hausgrind had benefited from a few tweaks and optimisations, so this is not necessarily representative of every single one, but I would imagine they would be pretty close. The Tanzania’s still a bit more convenient though (but at a price)! The Hausgrind was only tested at coarse FP settings, so I also cannot be sure how it would fair at more medium filter settings. Perhaps more surprisingly, the plan cafe’s Bunn G3 performed very well too. I had hoped it might indeed be better than is generally assumed (due to various factors I’m aware of). But I was still surprised by just how impressive it’s results were. Pretty much identical to the other two grinders, when compared at matching peak micron sizes. Again, the G3 was tested at a FP setting, and so I’m not sure what would happen to the distribution curve at other grind sizes. The Hario Skerton was then also added to the list of grinders tested (just to compare, by the lovely Matt Smith who makes the analysis available, as this is his own grinder). This is a nice enough hand burr grinder, but not meant to be in the same league as the others tested. Predictably, here we saw the biggest difference. In comparison to all the other 3 grinders, this had a very shallow and wide peak (although still essentially a single peak), and with a lot more fine particles in the 0-100um/microns range. Completely different to the other three. This summer, I’ve introduced a new drink for the plan cafe: Cold Brew coffee. 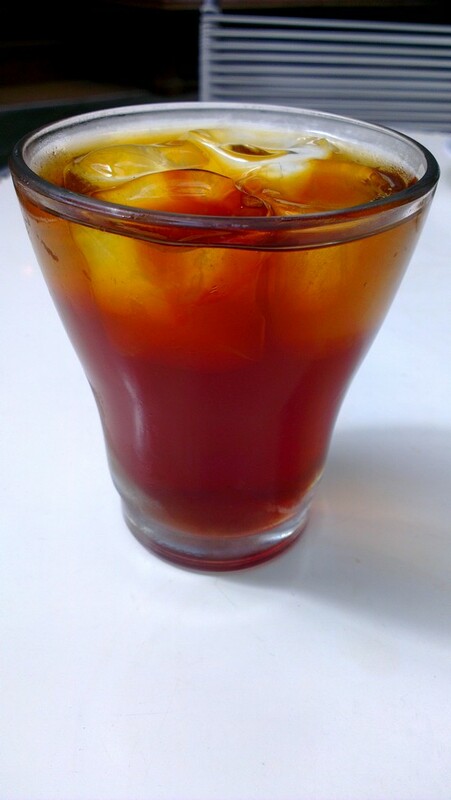 Cold Brew has already been popular for a long time in (warmer!) countries like the USA and Australia, but has rarely been seen here in the UK until more recently, but this summer it’s been flourishing at a few artisan coffee shops, particularly in London (Thanks to @CaffeineMag for some inspiration on this initially!). This method involves steeping (or drip brewing) grounds with cold or room temperature water for many hours to extract the flavour, rather than relying on hot water to do the job in minutes, or seconds. 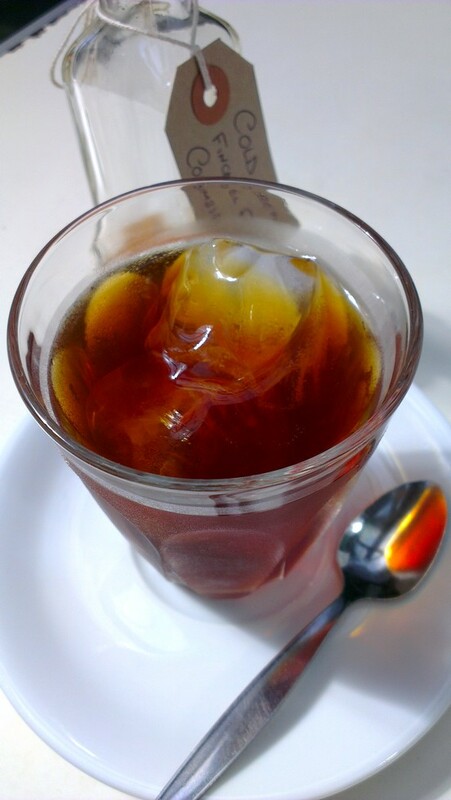 Brewing slowly with cold water gives a completely different kind of flavour, and allows for a concentrate to be brewed that can be served over ice without becoming diluted. I spent a few weeks researching and experimenting with recipes (with some unpleasant results initially), before reaching something I was satisfied with (thus adding to the already long list of brew methods for which I have brewing notes written up in extensive detail, and continuously updated, in separate, method-specific files!). It’s slow going, changing one factor at a time, when you have to wait 7-24 hours (and this range can be even wider) to sample the results! And, as with any brew method, there are so many variables at play (the coffee, the grind, the time, the temps at different stages, agitation, technique, filtration, water, roast profile, flash hot bloom, or cold only, room temp, fridge, iced water, etc), that the variation in the results can of course infinite. 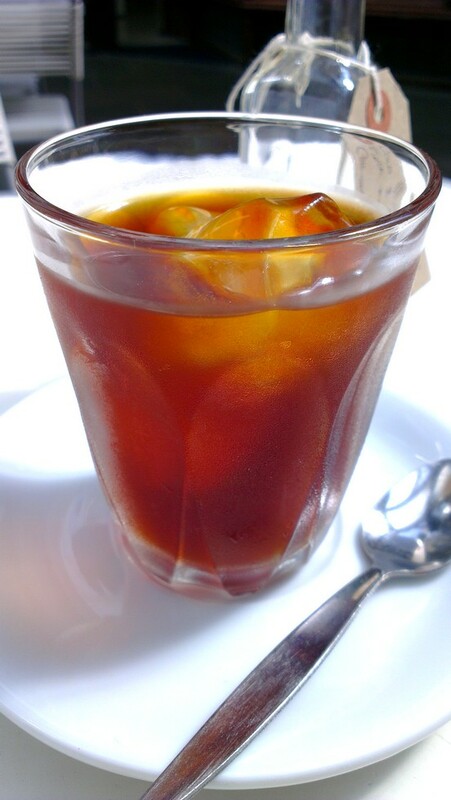 I’ve experimented with the alternative Japanese iced coffee method at home before, and that certainly appeals to me, like many others in specialty coffee, because it can better preserve the brightness, acidity, florals, aromatics, nuance, complexity and character that we love in light roast, high quality coffees (although it does have its own issues; really good pourover is very technique dependent under normal circumstances as it is, but when you remove half the brew water, extracting successfully and correctly becomes a real knife-edge). 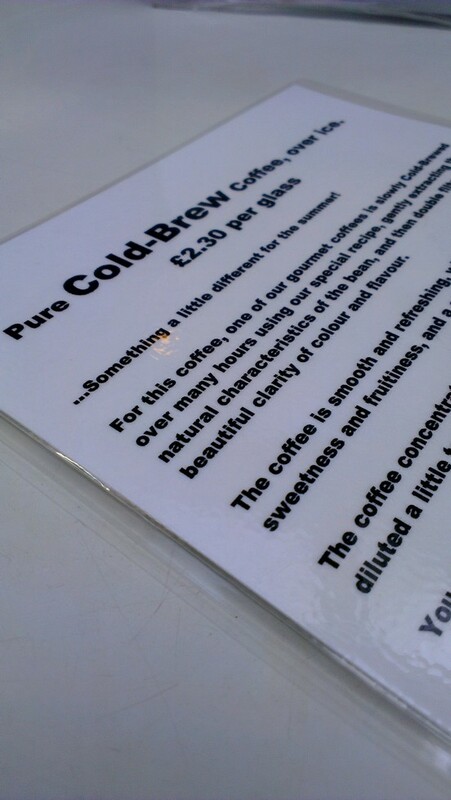 As such, I was a little sceptical, but intrigued, about the slow Cold Brew method, as it is often described as the opposite: all mellow mid tones, and no acidity or individual character. But, I’ve been very pleasantly surprised. 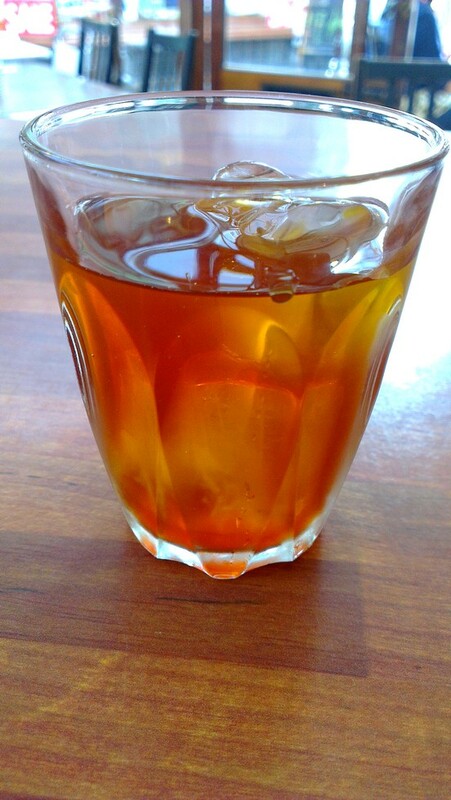 Whilst all the above is true to an extent, Cold Brew can be delicious in its own particular way, and, with some tweaks to the method, I’ve found it’s possible to balance the best of both worlds, retaining a good degree of acidity, aroma, and the character of the individual coffee, together with a creamy mouthfeel, and an overall flavour that is delicate, smooth, and very refreshing and approachable. 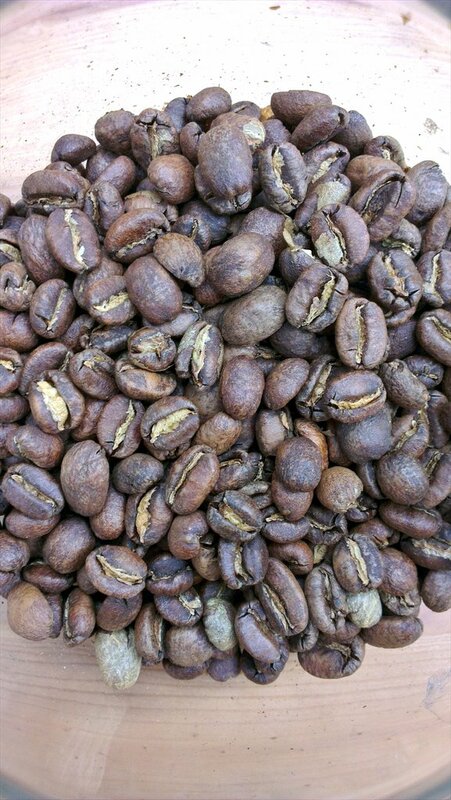 In fact, I was shocked how identical the aromas of the finished product can be to the aromas of the specific beans. Perhaps even more so, albeit in a very different way to hot brewed coffee. And the colour, well filtered, is WOW! Beautiful, deep reds, orange, and amber, with wonderful clarity. 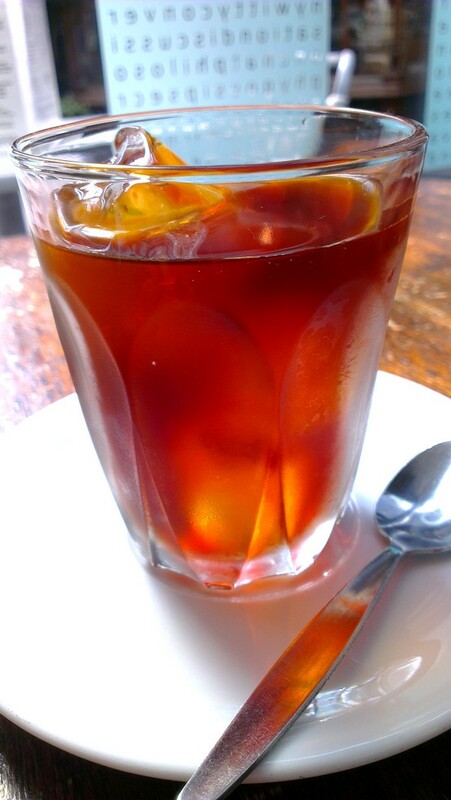 I’ve been enchanted by the beauty of the clarity and colours of hot pourover coffee for a long time, but pure Cold Brew, over ice, is something else – super stunning visually! And what’s more, I’ve found it can be a great way to successfully encourage people to try, and enjoy, coffee black, without milk (which is always a positive thing! 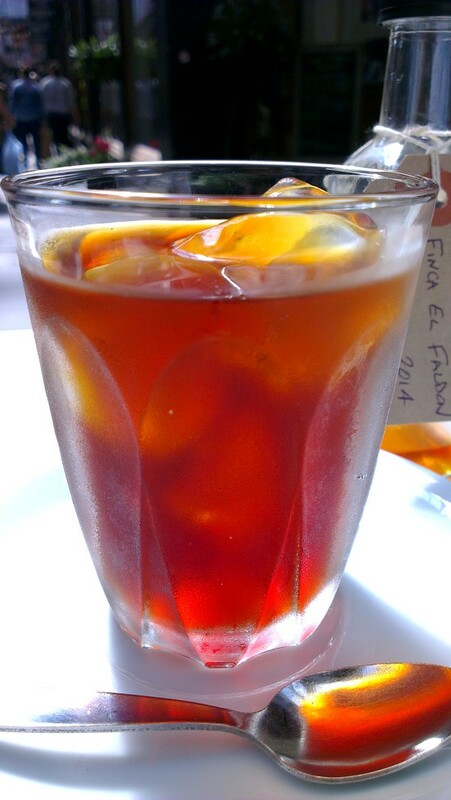 ), precisely because the drink’s intrinsic flavour profile is so soft and delicate. 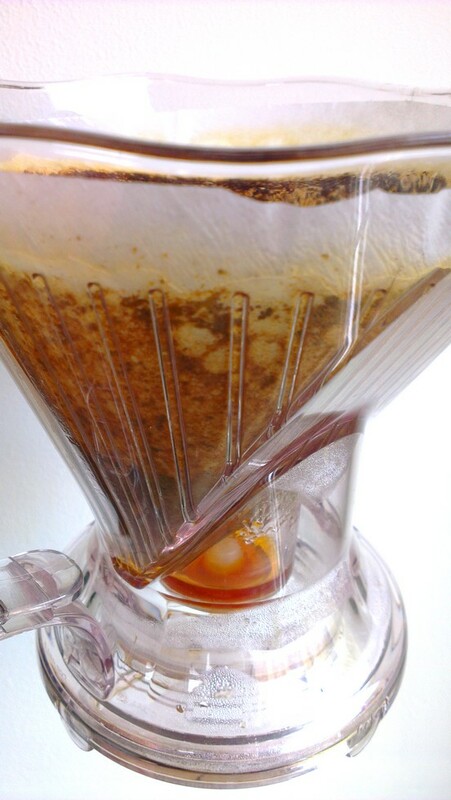 People often describe using darker roasts for Cold Brew, and it then being a good vehicle for adding cream and sugar. But if you think about it, that’s just like hot brewed coffee, and it doesn’t have to be like that. 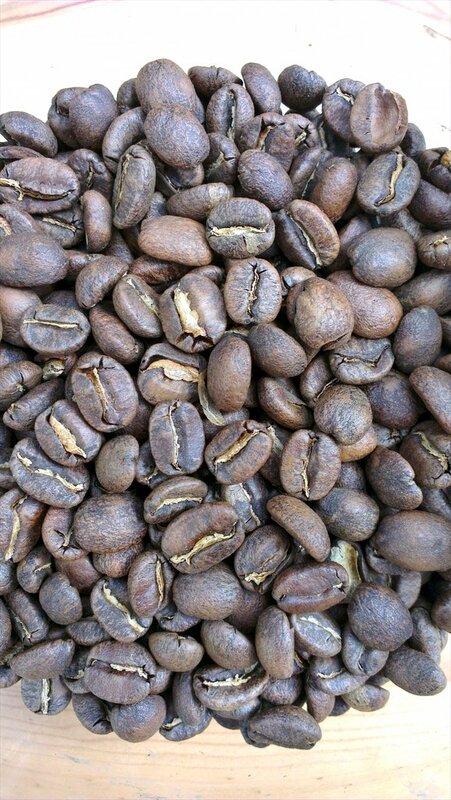 From the outset, just like any hot brewed method I would use, my aim was to use lighter roasts, and create something that would be nice on its own, black, and representative of the coffee. 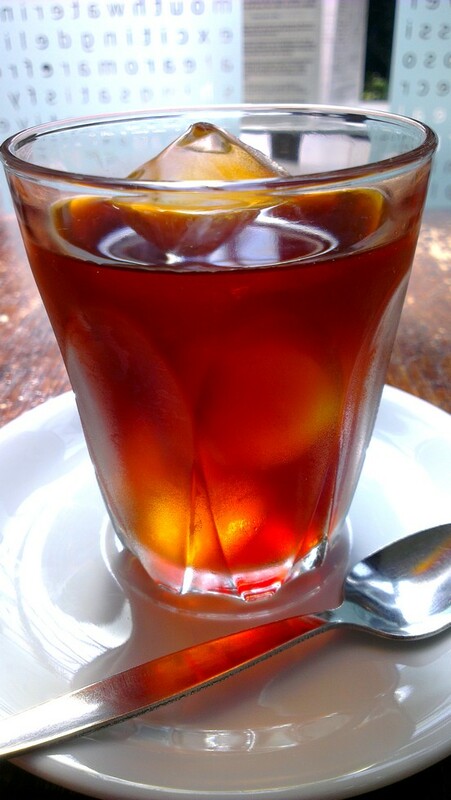 And if you make this your desired endpoint when experimenting, you can work towards achieving this aim, even though Cold Brew might always lack much of the range, complexity, and intensity of hot brew. I did try some (relatively light) espresso profiles, but was not at all keen on these, finding them just way too much, although I could have experimented more to make them work. One or two people who prefer a real punch, or who definitely only like coffee with milk, preferred these though. So, I’ve settled on using light filter profile single origins exclusively, and have found these can make clean, juicy-yet-smooth-and-creamy, delicate, refreshing, and interesting Cold Brew. And the filter profiles are actually best black, as the brew is nice and delicate, whereas adding milk to these drowns it a bit. Some might use something middle of the road for Cold Brew, believing anything else to be a waste of good coffee, or because they’re just going to add milk or cream to it… But I’ve gone in the other direction, as I wanted to give the brew method the best possible chance, and have mostly experimented, and launched, with a really premium coffee: Colombian washed Finca El Faldon filter profile from James’ Gourmet, grown by Arnulfo Leguizamo (the same farm and farmer that produced the 2011 WBC winning coffee). This has notes of jellied plum, toffee, and candyfloss as Cold Brew. We’re serving our double filtered, bottled concentrate at the side of a chilled glass of ice, with a little cold water to dilute to taste, if you want. If you want milk, or some homemade simple sugar syrup, no problem, just ask, but maybe give it a try without, as it’s surprisingly delicate and mellow! The availability of the Cold Brew will be limited each day when it’s being served, and it won’t be on every day. Check the Twitter, or feel free to @mention if you want to know. 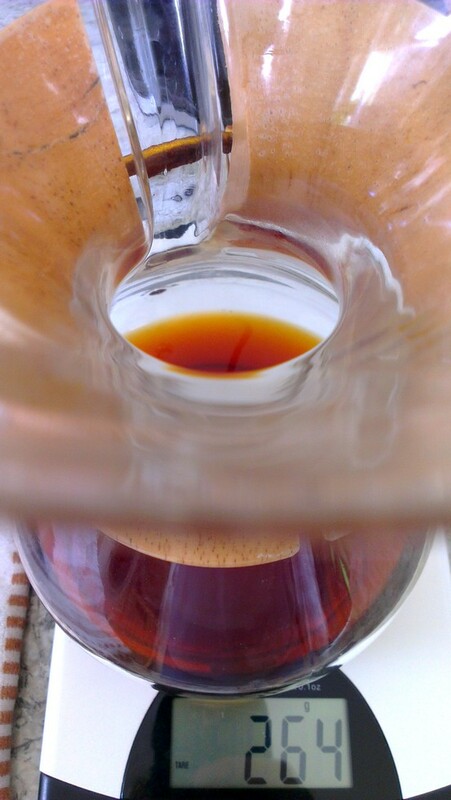 It’s essentially a very easy brew method, which is all about experimenting a lot, carefully, with the detail of the recipe and variables, until it works well for a certain coffee, rather than needing any skilled technique as such. 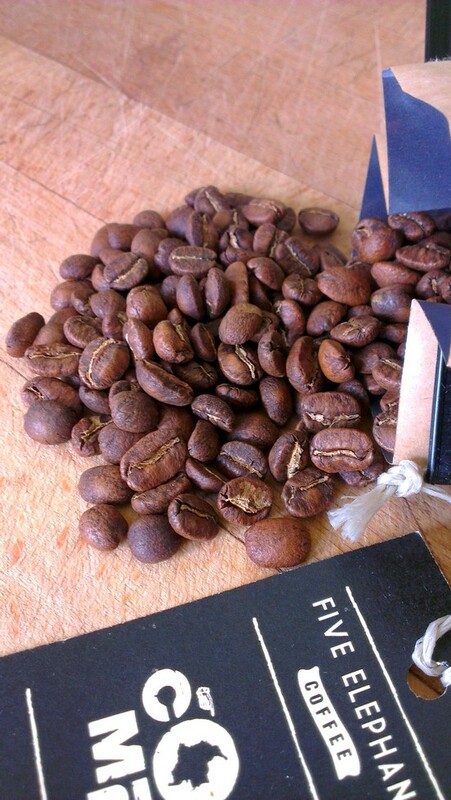 It’s therefore great fun to try at home – you don’t even need any expensive equipment whatsoever, just some good beans! 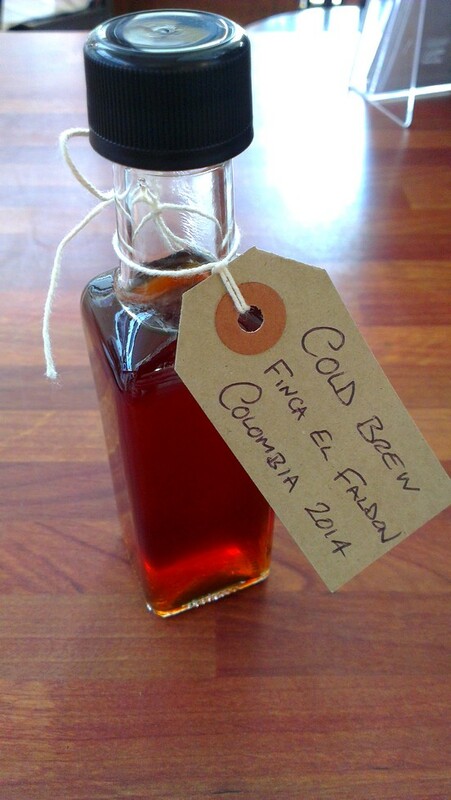 Despite a lot of work getting to a recipe for the El Faldon that I’m pretty happy with, I’ve really only scratched the surface with Cold Brew and there are so many further variations I could try. Sieving would be just one interesting option to try (I even read about someone talking about brewing whole beans as Cold Brew, which is something I’ve toyed with the idea of before, as a way of getting past the issues caused by grinding!). If I continued to dedicate just a fraction of the time and research I do for hot brewing for this, I think the method could potentially be improved further. Certainly worth playing with. 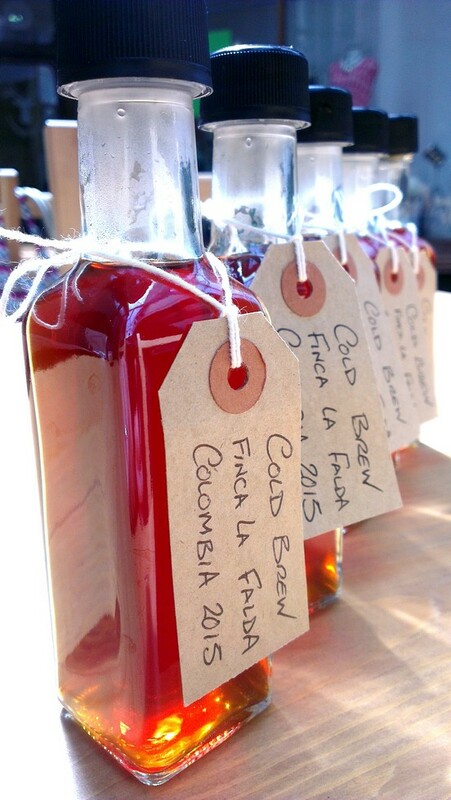 There’s lots of info around online about slow Cold Brew if you want to have a play at home, whilst the sun’s still shining and hot! For several years now, I’ve been using low brew ratios, and doses, for espresso, for pretty much all the (relatively light roast) espresso profile coffees I use (both single origins and seasonal blends), and I’ve been watching with interest over the last few years as indications have emerged that a few others in the speciality industry, in the UK at least, have been gradually beginning to move in the same direction, here and there. I’ve followed this closely, as part of my general, continuous research, and these movements have been very gradual, but consistent, in the same direction. Using low brew ratios did not come easily, and was something that confused me, and even seemed ‘wrong’. Why? Almost all the brew ratios and recipes you saw within modern, speciality, ‘Third Wave’ coffee, until more recently, recommended high dose, high brew ratios. So for a long time, I fought against it, and tried (jumped through hoops) to do what was apparently ‘correct’ for this type of coffee. In the end though, I stopped resisting, and navigated by taste, instinct, and experimentation, towards consistently lower brew ratios, for pretty much any coffee, even coffees designed and recommended for higher doses and ratios (although with slight variations depending on the specific coffee and scenario, etc, as presented when dialling). It then felt as if I had previously just been trying to ‘force’ the coffee into a little box, where it, and I, were often not happy, and where the results rarely seemed to be the best expression of what the coffee should, or could, be. Whereas at lower brew ratios, I consistently found a more balanced, rounded, articulate flavour, a more true sweetness, a lighter, more delicate, but more appealing crema (visually and texturally), and I generally felt it simply gave me a better representation of the coffee’s flavour. If I just ignored the weights until after dialling to where the espresso simply looked and tasted best, this is where I’d end up. It just seemed more ‘right’ (and not simply personal preference either). So, I stopped trying to follow the fashionable recipes, and just did what worked for me. I didn’t understand quite why I found this to work better, when everything I saw elsewhere recommend otherwise (although I had theories). I thought maybe it was just some quirk of our particular equipment set up. And to some extent, this is still true; our equipment does certainly seem to prefer, even require, lower doses, and lend itself towards lower brew ratios too. But this alone didn’t completely explain the situation, and didn’t help to alleviate the nagging feeling that the recipes I was using were somehow ‘wrong’ (at best, ‘traditional’ or low end ‘normale’), and not ‘proper’, modern, speciality – because everything you read would recommend different (higher) doses and ratios. But it worked best, for me, and I gradually just stopped worrying about it (as much). Several years ago (but not that long ago), at that time, most of the speciality or Third Wave recipes you would read about were in the 65-100%+ region. 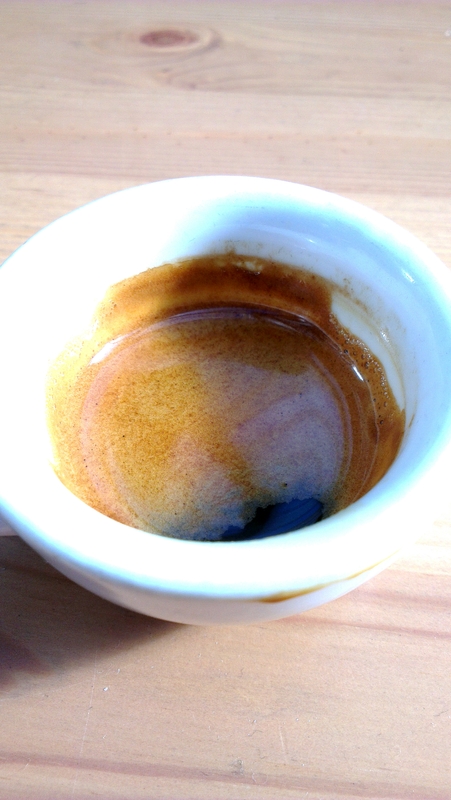 Triple baskets were the thing, and ristretto was king (and this is often all still true). Often the few recommendations you might find for lower doses still came hand in hand with a relatively high overall brew ratio, at or towards ristretto. Then, a few years ago, a slight shift downwards got a lot of airspace on the top blogs and forums, with people talking about recipes more down at the 65% end, quite specifically. 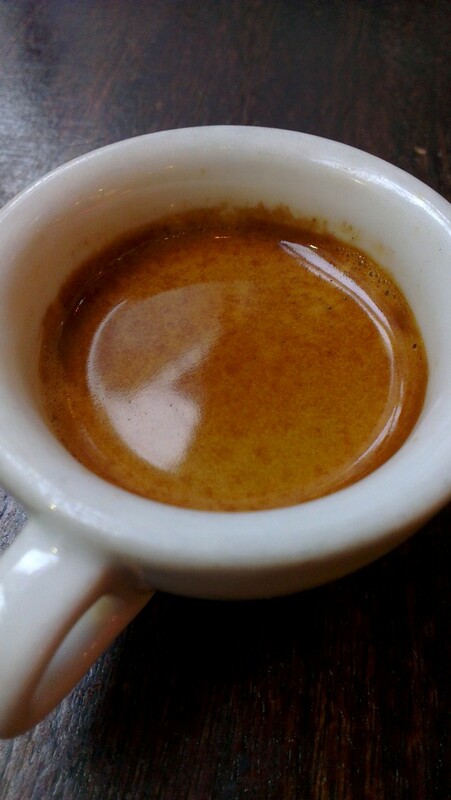 Then, just a year or two ago, I noticed a few (leading) figures in UK speciality coffee talking about recipes in the region of 55%, as something of a norm, for the light roast espresso they worked with as standard. This gave me a little hope that maybe what I was doing wasn’t so very odd after all, although even this still did not quite reflect what I was generally using. But now, even more recently still, a few prominent sources have broken the 50% seal though, and have been talking about 55-40% brew ratios, and even beyond (and non of this is even with regard to something altogether different like lungo EK coffee shots – just ‘normal’ espresso making). And some of these sources are the very same ones that were at about 65% just a few years ago. It feels strange to contemplate that finally, almost comically, the recipes I’ve been using for a long time might actually be becoming somewhat fashionable and on trend (or at the very least, used by a few others), after for so long feeling at odds with this one aspect of the very movement I’m part of, and wholeheartedly promote. Why’s this happening? Has speciality UK roasting undergone a such a significant shift over the last few years that it suddenly requires these lower espresso brew ratios? I don’t think so – the top handful of microroasters have been pretty (even very) light for some time already. Who knows, there’s a lot at play, and any possible reasons for it are really another story. I just wanted to point out these observations, and put them out there. I’m not saying this is how all espresso should be brewed, by any means. And I’m not saying I’m always happy with the espresso I achieve now. I’m not even saying that I only like espresso brewed like this (I’ve had hugely enjoyable shots made in other places, brewed in the high dose, high ratio way). 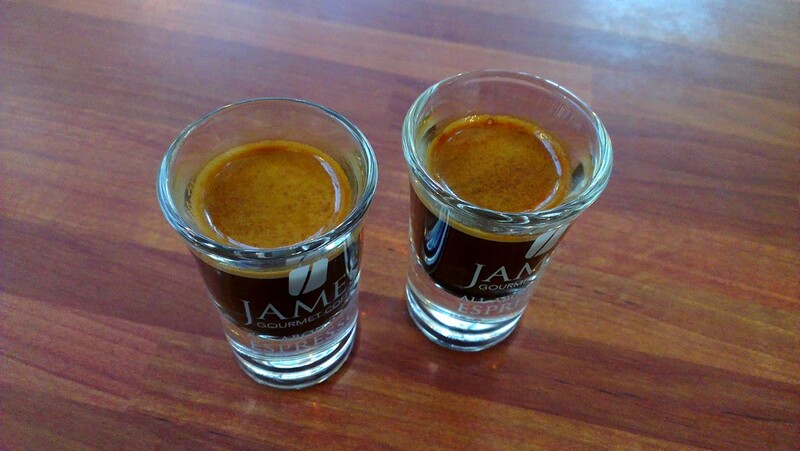 Different brew ratios and practices can all make delicious shots when successfully executed. And some will simply not like espresso made with a low brew ratio, out of personal preference. And I’m not suggesting that those using 65% or more a few years ago, and who are now using 55% or below didn’t already know (far more than I) what they were talking about back then. I don’t think they’ve suddenly ‘figured out’ that lower is better. And, what works best in a certain situation for one person can be highly specific to the individual site and equipment (coffee, machine, baskets, pumps, grinders, water, technique, etc, etc), and not necessarily transferable, as any kind of wider ‘truth’ that will work for others. And, it’s certain that particular equipment set ups will lend themselves more towards making high brew ratio shots very nicely, and people using such set ups might rightly navigate towards higher ratios, perhaps even as an ideal for that set up. I’m not really trying to say anything specific at all! It’s just been interesting, and refreshing, to observe these murmurs of a possible gradual shift in perspective for some highly regarded figures at the very forefront of speciality coffee in the UK in recent times, and a loosening of the previously accepted ‘rules’, towards something that I’ve long found to work, for me. A month or two ago there was a depressing and surprisingly negative article in the Observer Magazine about modern speciality coffee in the UK by someone I would really have expected to have a more positive and enlightened attitude towards something exactly like this movement. The bile that followed in the comments attached to it online lowered the tone even further. There were a few possibly pertinent points made that might have been interesting and productive to explore, but the overall tone of blinkered reactionary negativity eclipsed these. A real shame. But with each juicy, sweet, clean, and characterful cup, I smile, and the memory fades! In right now for French Press service at the cafe, or filter beans to take home, are delicious new Kenyan Kiri (summer fruits, blackcurrant, brown sugar, floral), and Guatemala Finca El Pelicano (biscuity and ripe white grape), and the smallest amount of El Salvador Guachoca natural, if you’re very quick. Naturelle (yes!) 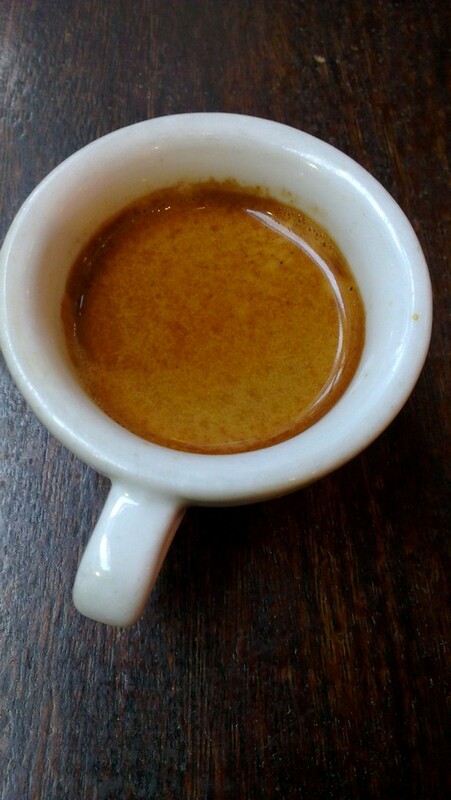 is on for espresso, currently composed of Brasil Santa Maria natural and Suke Quto washed Guji. 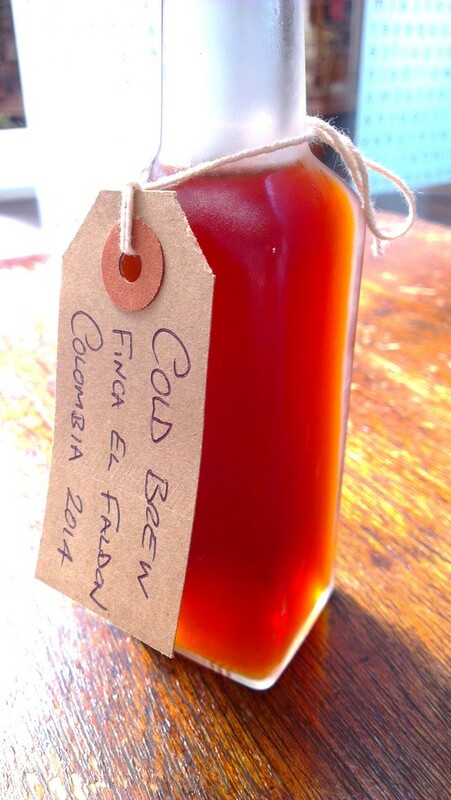 And, El Faldon Colombia is on as Cold Brew of course, when available, whilst this particular coffee lasts..! 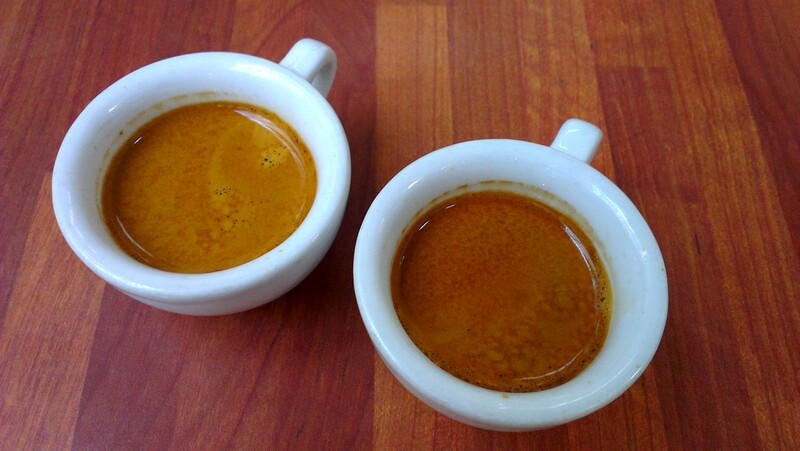 What is Espresso, and Third Wave Coffee? 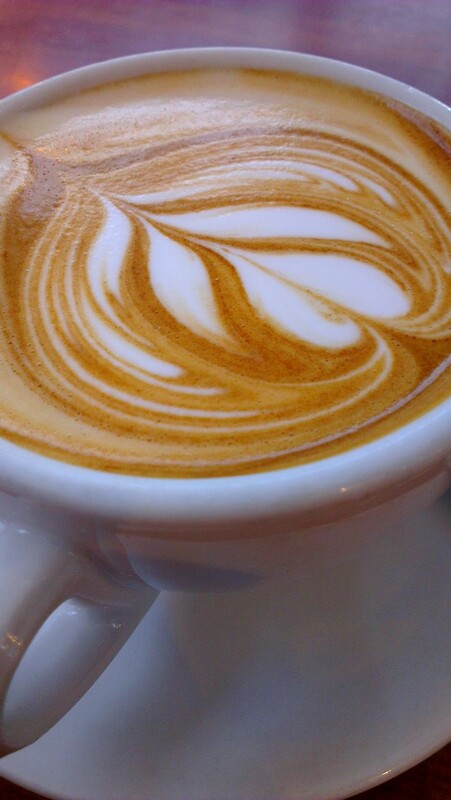 What is Freepour Latte Art? 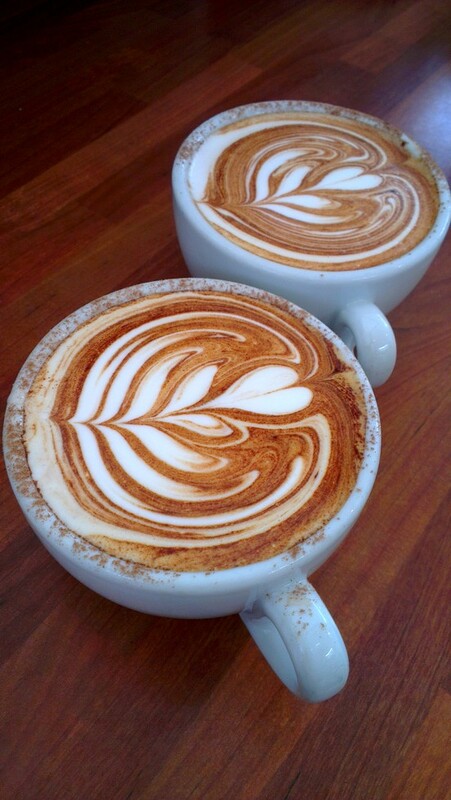 Some great Latte Art pics! 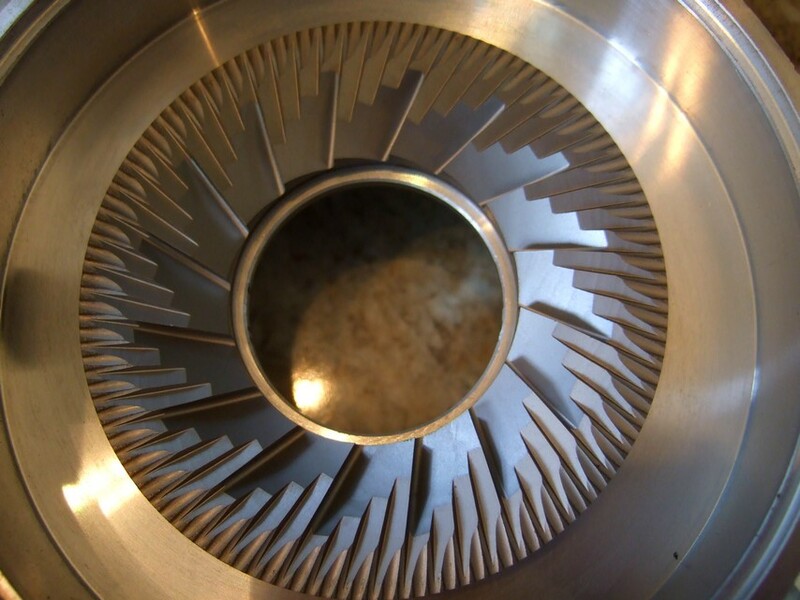 Laser particle analysis: comparing some top filter grinders. So! ...What's the best espresso machine?